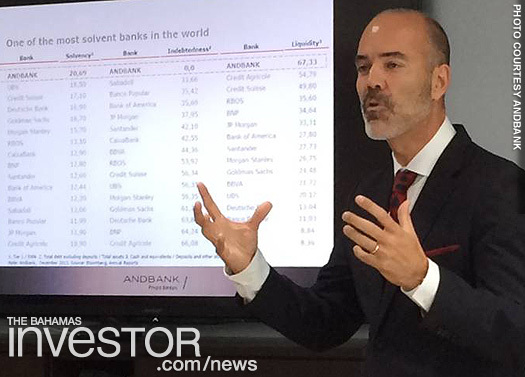 Andbank, the private bank with headquarters in Andorra, continues to expand its private banking product offering in The Bahamas. 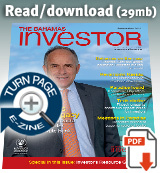 During an event September 17, held at its offices at Montague, the boutique private bank, unveiled its latest product to a group of selected realtors. 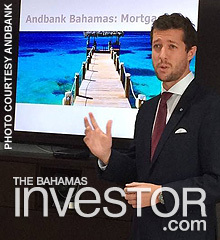 “We have continuously demonstrated our commitment to The Bahamas, first by tripling our staff over the last few months and by now offering mortgage related services in the high-end Bahamian property market,” said Juan Iglesias (pictured, below), chief executive officer at Andbank. Fodor's Travel recently announced that The Cove, Eleuthera Resort and Spa has been recognized as a 2014 Fodor's 100 Hotel Award winner. This distinction designates The Cove, Eleuthera as an outstanding hotel as selected by Fodor's editors and travel experts, recognizing high style, excellent service and a remarkable experience for guests.